Trade Show Calendar — Jonathan Miller & Co.
Jonathan Miller will be at the Las Vegas Souvenir & Resort Gift Show in Las Vegas, taking appointments and clients through manufacturer booths, Sept 25th to 28th. Please contact him to set an appointment. Claire Miller will be exhibiting at the Worldwide Fall 2018 Trade Show, August 28th to 30th. Jonathan and Claire will be exhibiting at the Worldwide SINN/Spring Trade Show in Reno, Nevada from February 4th to 8th. Jonathan Miller will be exhibiting at the Alaska Gift Show, January 11th - 13th, 2018 in booth #114. 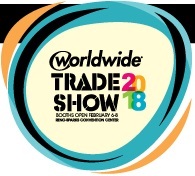 Jonathan and Claire will be exhibiting at the Worldwide Spring Trade Show in Reno, Nevada from January 29th to February 2nd. Booth # is to be determined! This post will be updated when the booth # is known. Jonathan Miller will be exhibiting at the Alaska Gift Show, January 12th - 14th, 2017. Jonathan Miller will be exhibiting at the Seattle Gift Show, January 6th to 9th, 2017. Jonathan Miller will be at the International Gift Exposition in the Smokies (IGES), taking clients through manufacturer booths. Please contact him to set an appointment. Jonathan Miller will be exhibiting at the Seattle Gift Show, August 19th to 22nd, 2016. Jonathan and Claire Miller will be exhibiting at the Worldwide Spring 2016 Trade Show, February 1st to 4th, 2016. Find us at booth #410. Jonathan, Claire, and Colin Miller will be exhibiting at the Seattle Gift Show, January 22nd to 25th, 2016. Find us at booth #2263! Jonathan Miller & Co. will be exhibiting at the Alaska Gift Show, January 7th to 9th, 2016. Find Jonathan Miller at booth #114.